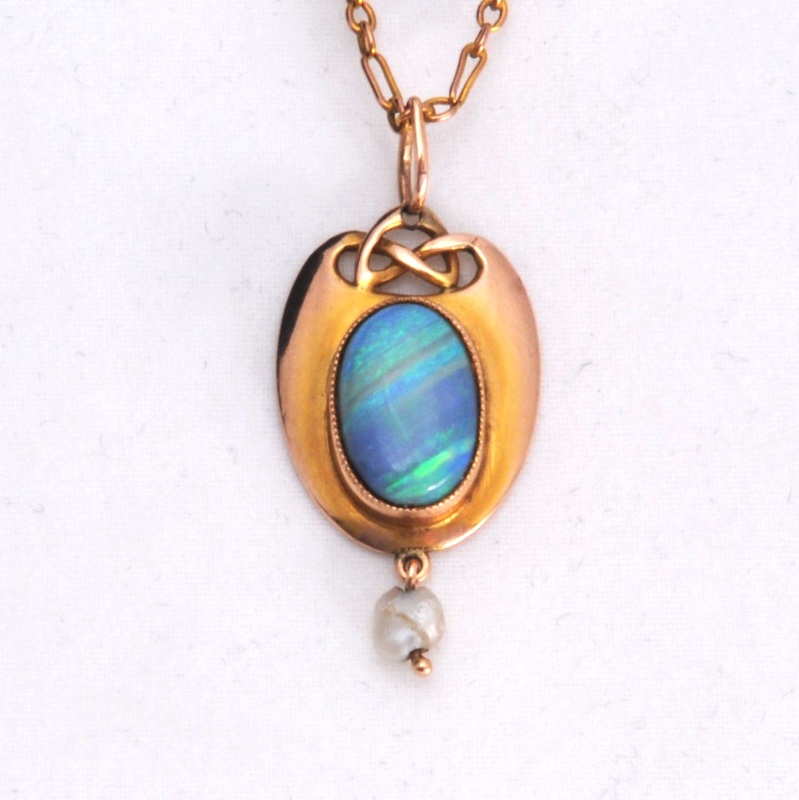 A John Baker Bennett opal and gold pendant to a design by Archibald Knox. 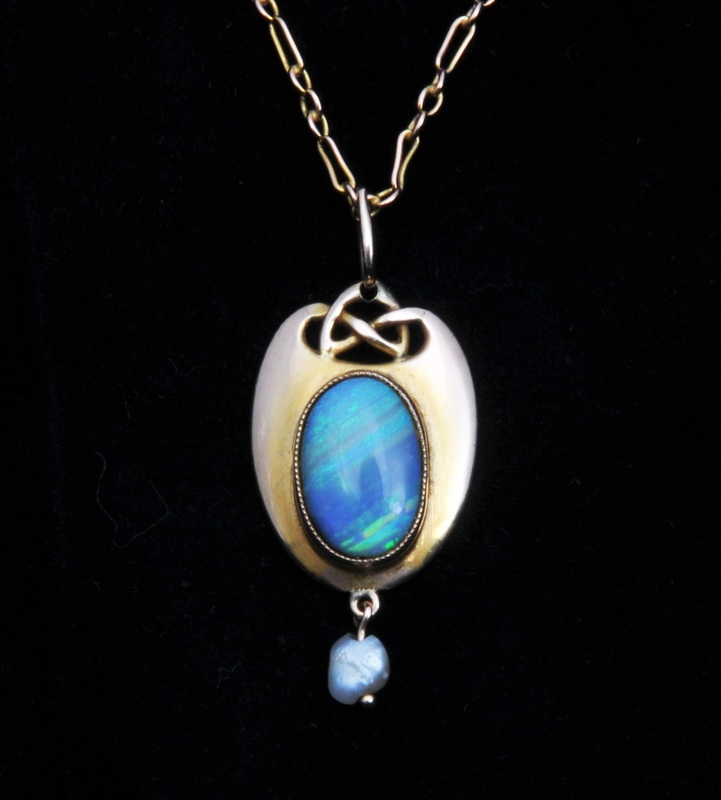 This pendant is part of a Knox necklace design for Liberty model number 8113 in the Liberty jewellery sketch book. Baker Benett was the British partner of the Murrle Bennett company who split in 1907, after which Baker Bennett produced arts and crafts items under his own JBB & Co mark, with links to William Hair Haseler whose family were directors of his new company. Both Murrle Bennett and Baker Bennett are known to have produced work designed by Archibald Knox for Liberty & Co. With what I believe is its original chain.